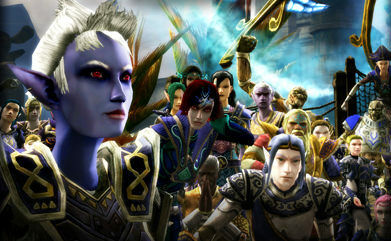 The Community Rules have been migrated to the DDO Forums. They can be accessed from the top tab row of the forums, in addition to the forum categories at the top of the forum list. 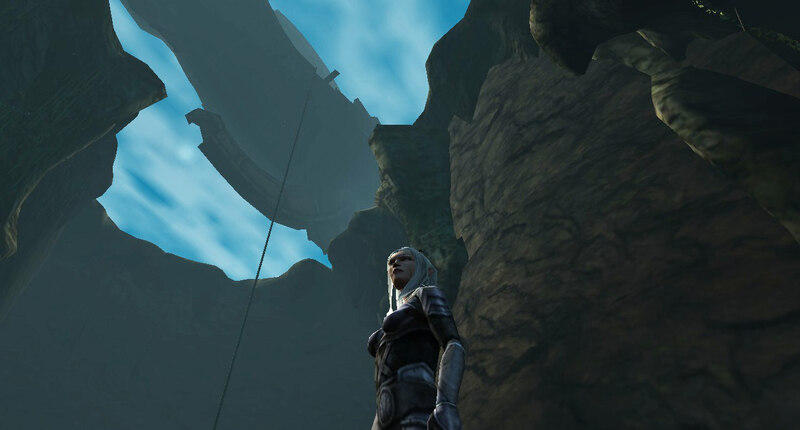 The link to the Community Rules on DDO.com remains unchanged. The DDO logo has been updated! We have streamlined the old "Media" tab to be the News tab, which was the only section being updated regularly anyway. Old links remain active, however. We have removed some of the most outdated information in The Game, and moved the Be a VIP section to The Game tab. The Community tab has been renamed Forums, and directly links to the forums. We removed the need for a drop-down here (to help with mobile browsers), and moved the Community Rules as stated earlier. The Store tab has been removed, and replaced with a DDO Market tab that links directly to the DDO Market. The Download and Play Free Now tabs remain unchanged. In the future, we will be working to update the content on outdated pages, and make some other changes to make the web site more friendly to a wider variety of devices. May I suggest some 'Feng Shui' changes? Logging in to the forums--ugly, dark dragon page--put in a friendly one. Lots of stunning screenshots in PB's thread for the contests (see below for examples). This is just to give you an idea. Add light, joy, fun and frame within that the sense of dark dungeons. Seems like the front page is mainly set up for returning players. 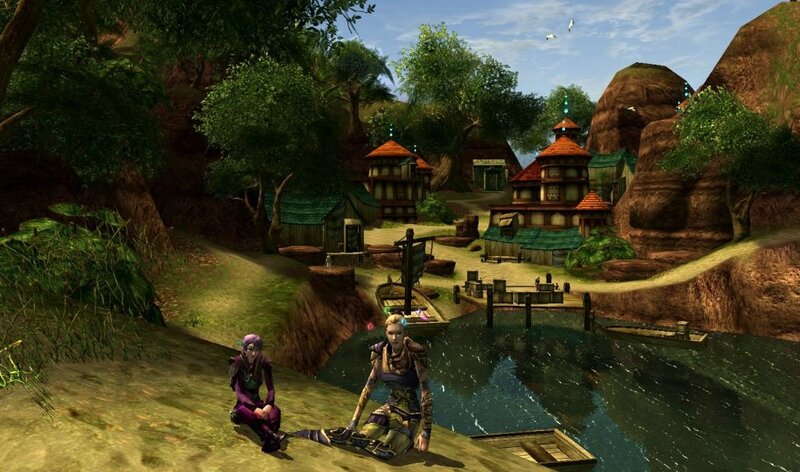 A sites's front page should let new players know what kind of game is DDO. What do they need to play, an updated system recommendation. -> link to getting started guide. A better call to action for signups, VIP & Premium perks comparison. Showcase of each class with short videos could be great too. Last edited by janave; 03-09-2018 at 02:10 PM. How about an option for people that already have an SSG account (for LOTRO) and just want to add DDO (and vice versa on the LOTRO site) to that existing account and have just one login user/password for both rather than having to go through support to try and make that happen. Be nice to see SSG present itself as a united company instead of forcing multiple accounts for the two games. Maybe even get to the point one day when there is one type of game points (Stones?) across the two games or even (longer term) integrate with Daybreak for a single login and point system across all Daybreak games the way many other game companies work these days? I think updates to brighten the backgrounds would be good too. You can have brighter assets with the dark expansion banners. Bug template! QA is here for you. Looks like the character class guides haven't been updated in years. The builds still refer to the older enhancements and give such valuable advice as "toughness feat is valuable for any class". Maybe get someone on that? Makes you look kind of bad, if the game guides meant to teach new players about the game hold such obsolete information. I am a refugee of Devourer, abandoned by Coadmasters and washed up on the shores of the new world Thelanis under the rule of the Turbine empire. The locals are primative, the monsters are tough, and to survive in this savage land i must live by one philosophy... trust no one. I never noticed this before, but I have a gray border to the right side of my phone when I use the forums. I feel like this is new? You are the one choosing not to play alts. Sure, I'll take a look at the Game Guides section and remove some of the most outdated articles (the links will remain active, I am just removing their display so as not to break links.) The longer-term plan is to get some of these sections updated with new writing. Last edited by Fenix93; 03-11-2018 at 08:33 PM. "It's time for epic adventures!" Don't bother with most of them. DDOwiki already does this so much better than you (no offense, honestly) will ever manage to be able to do it. Are you going to devote 5-10 people to it? Because that's how many people do it now I am guessing (if not more) over at DDOWiki. If anything, consider giving more material support/hand outs to them for doing such a service for the game. Anyone who plays this game seriously at all relies upon DDOWiki extensively. That's just my opinion, but it's 2018 and even scientists use Wikipedia. Somethings are better left to a small group of diehard specialists sifting through the wisdom of the crowd. While you are at it, post that there is no in-game support for people stuck in quests. Tell them to just restart. If you say there is, you might want to go to the FAQ and other pages not saying anything about in-game support or hours. lol, I didnt give it a QA pass. If you do an overhaul, how about a Quest/Raid/Event planer that shows the start time in relation to someones timezone? It is not easy to coordinate something in advance and even if you use foreign websites it doesn't go well most of the time. Escaping Mizzery in the Tavern Attic. i would LOVE you to upgrade/fix the download client. like it should be up to date to the latest expansion. so would only need to patch from ravenloft to the current update. or at least from shadowfell to current state. i've just made 3 of my friends try out DDO yesterday and i had a few other friends testing it too. due to this clumsy installation process one didn't even bother to play. for complete new installations i got feedback, that the game crashed in character select. that also happened yesterday to one of them. if the installation and the starter area are buggy, lag, crash or whatever - alot of people are not getting a good image from this game at all! since i install off of the high res download files i had never a problem like this, so there is probably a problem with the newer versions of client download/installment. i'd love you to revisit this too, especially since you've been doing website work recently. also a revamp of the starter area and maybe the harbor would be nice. i just feel stupid telling people that this game will get better on higher levels. for graphics and content that is. Logging in to the forums--ugly, dark dragon page--put in a friendly one. i don't know what your obsession with this is, but since its already named dungeons and DRAGONS online, i think a dragon on the frontpage is just fine. sure, there should be some diversity in the stuff displayed, so new players get a better idea, of how this game looks. yet i found the sinister, grim and darker pictures way more appealing for a DnD based game, than a light, funny themed picture. i totally get your point, but people who came here, usually don't want to play "little gnome's tea party"
No, my point is that you want to make your doormat appealing & inviting. Simple enough. If a dragon were to be the choice thematically, there are much better images that could be chosen. wiki folks had all the named items from Ravenloft laid out in short order. For a while, you guys were releasing pics & stats of new named items with updates but there was too much in Ravenloft. So just accept the interdependence. Outsource, baby.